MANILA, Philippines — Budget Secretary Benjamin Diokno on Monday said it was “improper” for a lawmaker “to threaten the President with a suit in the exercise of his power” on the P3.8 trillion national budget for 2019. House appropriations committee chair Rolando Andaya Jr. said he would question before the Supreme Court the possible restoration of the “P75 billion pork” in the 2019 General Appropriations Act (GAA) via a veto message. The Camarines Sur representative vowed to join Senators Panfilo Lacson and Franklin Drilon in questioning the veto message in the Supreme Court should it reflect the restoration of the P75 billion. Andaya has accused Diokno and Cabinet Secretary Karlo Nograles of orchestrating the restoration of the P75 billion through the President’s veto message. 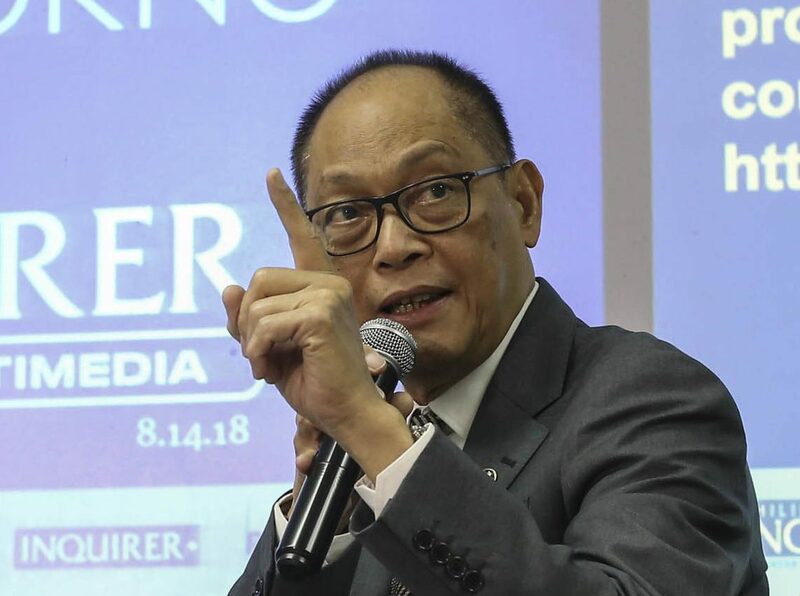 “It is improper for a legislator to threaten the President with a suit in the exercise of his power,” Diokno told INQUIRER.net in a text message. “We do not claim monopoly of fiscal wisdom. Hence, we will provide the President the option to veto or to let go. If the congressional amendment is an improvement over the President’s proposal, we will propose adoption; otherwise, we propose line-item veto,” he said. “Congress has done its constitutional duty to review, amend and finally authorize the budget. Now, it’s the duty of the President to approve, approve with line item veto, or veto altogether the whole budget,” he added.